I'm so excited about today! Not only is it my sister's ahem-mumble-oh birthday (no foolin'!) but today is the day I get to kick off a very special tour. Four or five years ago (girls, remind me...how long has it been now??) God put me with an incredible group of ladies. We've adventured together over many miles and today we get to celebrate. Yvonne Blake's book, A Home for Phoebe, is HERE and we're beyond excited. To help us celebrate, Zeke the peddler has promised to get us safely from one home to another. Zeke the Peddler wears a floppy hat and a gray coat, whose sleeves seems much too short for his arms. His eyes sparkle and his mustache twitches, and he seems as tall as a weather vane on the top of the barn. Removing his hat, he bows low. “Well, good day, folks. What can I help you with? This here is a regular gen'ral store on wheels! Anything you want or need. I have it. Needles or tubs, buttons or pans - jewelry and fancy perfume, too!" As you walk around the strange wagon, your eyes widen with wonder. There are pans, kettles, tools, and things you never saw before hanging on the sides. At the back is a door that opens at the top. You can see bolts of cloth, kegs, wash tubs, and hundreds of little boxes. One of the treasures he carries is a very special book by one of my near-and-dear friends, Yvonne Blake. The book? A Home for Phoebe. God has blessed Yvonne with an interesting childhood. She's lived in the deserts of Arizona, the tropic islands of the Bahamas, the rugged hills of New York, the farmlands of mid-Maine. Her father was a school teacher and pastor, and her mother was a nurse. Yvonne's memory is a parade of settings, experiences, and characters to use in her writing. Yvonne's husband is her steady rock, loving his Lord and family. Raising a family of eight children, in Searsport, Maine, has been her focus over the last thirty years, also giving her storerooms of material to draw from. Striving to do their best, regardless of the opinions of others, they have often lived out of step with the rest of the world. Now that Yvonne's children have grown, she's chosen to stay home and write, releasing all the stories bottled in her mind. Her prayer is to be used of the Lord, to encourage and bless others with her writing. A Home for Phoebe is an historical novel of an Indian woman and a young girl wandering the hills of the Hudson Valley during the mid 1800's. One flees prejudice, while the other yearns for a home. Through the friendship of a peddler, a blind granny, and blacksmith's family, they learn of forgiveness and faith. You can purchase A Home for Phoebe on Amazon. Find Yvonne online at her website, her blog, and on Facebook. 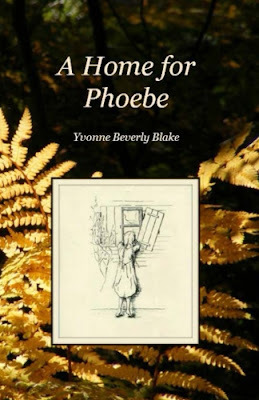 Yvonne will be giving away a free copy of A Home for Phoebe at the end of the month, drawing a name from those whose comment on the blogs or on her author page on Facebook. 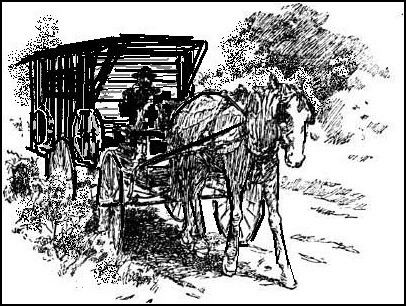 Be sure to travel along with Zeke the peddler to learn more about Yvonne and A Home for Phoebe. Their next stop will be at Catrina Bradley's blog, on Wednesday, April 3rd. You never know what surprises you'll discover when you travel with Zeke, so don't miss out! See you at Cat's place on Wednesday. Congratulations, Vonnie! This is the first blog I've read this morning, and what a fun way to start my morning! I have my copy of A Home for Phoebe, and can't wait to read it. Thanks so much for letting us know about Yvonne's book, Patty. I'm so excited for her!! Thanks for commenting, Barbara and Flora. You are the first two names on the list for the drawing! Thank you, Rita, for helping me organize the blog tour..... and Peej, thanks for starting it off so wonderfully! So excited for you, Vonnie! Congratulations on your first published book! Your book sounds like a wonderful trip into a very special place. Congratulations on completing and publishing A Home for Phoebe. I look forward to your stop on the 18th. I'm so excited with you that Phoebe finally made the scene. I've loved this girl and her Indian guardian for a long time. Their adventures are exciting and such fun to read about. Congratulations, dear Vonnie! I hope Phoebe travels into many, many hearts. Thanks for all the comments! This should be an exciting month for Zeke, Maseppa, and Phoebe! I have been WAITING for Zeke to get to my house -- I've got some shopping to do! First up is a copy of A Home for Phoebe. I love these characters, and SO SO excited for you, Vonnie!